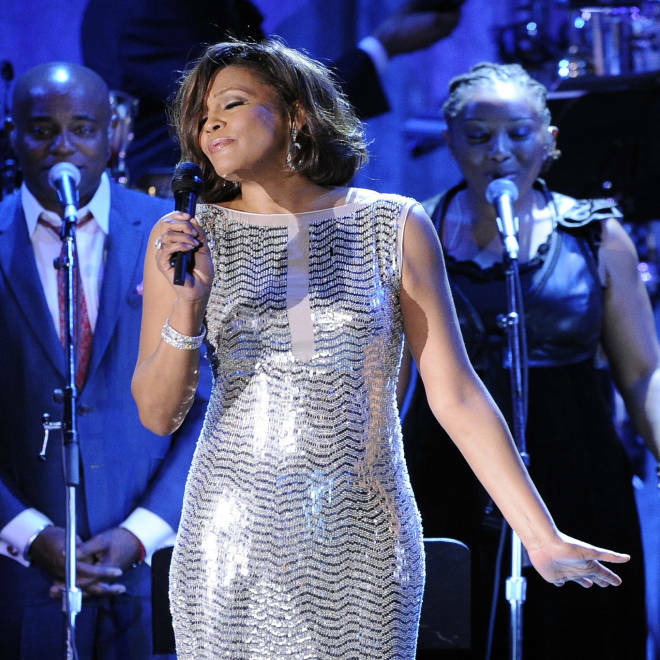 Singer Whitney Houston performs at the pre-Grammy gala & salute to industry icons with Clive Davis honoring David Geffen in Beverly Hills, Calif., on Feb. 13, 2011. Attorney Dmitry Gorin, a former Los Angeles County Deputy D.A., said that if true, Weir's allegations raise questions about whether investigators properly secured the scene and whether they unnecessarily exposed the department and city to future civil litigation. At the time of her death, Houston was in Los Angeles preparing to attend a pre-Grammy party thrown by her mentor, producer Clive Davis. The singer’s personal assistant left to pick up items at Neiman Marcus and returned to the hotel room at 3:36 p.m. She went into the bathroom and found Houston face down in the tub and unresponsive, according to the coroner’s report. The personal assistant yelled to a bodyguard, and together they pulled the singer out. The assistant then told the front desk to call 911.